I have a confession to make. I don’t know what “bipolar disorder” is. And as a psychiatrist, I’ll admit that’s sort of embarrassing. Okay, maybe I’m exaggerating when I say that I don’t know what bipolar disorder is. Actually, if you asked me to define it, I’d give you an answer that would probably sound pretty accurate. I’ve read the DSM-IV, had years of training, took my Boards, treated people in the midst of manic episodes, and so on. 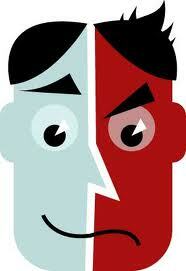 The problem for me is not the “idea” of bipolar disorder. It’s what we mean when we use that term. I recognized this problem only recently—in fact, just last month, as I was putting together the July/August issue of the Carlat Psychiatry Report (now available to subscribers here). This month’s issue is devoted to the topic of “Bipolar Disorder,” and two contributors, faculty members at prestigious psychiatry departments, made contradictory—yet perfectly valid—observations. One argued that it’s overdiagnosed; the other advocated for broadening our definition of bipolar disorder—in particular, “bipolar depression.” The discrepancy was also noted in several comments from our Editorial Board. Disagreements in science and medicine aren’t necessarily a bad thing. In fact, when two authorities interpret a phenomenon differently, it creates the opportunity for further experimentation and investigation. In time, the “truth” can be uncovered. But in this case, as with much in psychiatry, “truth” seems to depend on whom you ask. Consider this question. What exactly is “bipolar depression”? 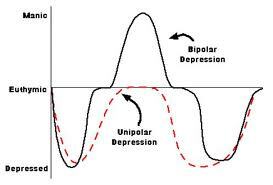 It seems quite simple: it’s when a person with bipolar disorder experiences a depressive episode. But what about when a person comes in with depression but has not had a manic episode or been diagnosed with bipolar disorder? 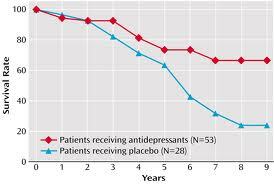 How about when a person with depression becomes “manic” after taking an antidepressant? Could those be bipolar depression, too? I suppose so. But who says so? One set of criteria was introduced by Jules Angst, a researcher in Switzerland, and was featured prominently in the BRIDGE study, published in 2011. His criteria for bipolarity include agitation, irritability, hypomanic symptoms for as short as one day, and a family history of mania. Other experts argue for a “spectrum” of bipolar illness. Such differences of opinion lead to some absurd situations, particularly when someone is asked to speak authoritatively about this disorder. At this year’s APA Annual Meeting for example, David Kupfer (DSM-IV Task Force Chair) gave a keynote address on “Rethinking Bipolar Disorder,” which included recommendations for screening adolescents and the use of preventive measures (including drugs) to prevent early stages of the illness. Why was it absurd? Because as Kupfer spoke confidently about this disease entity, I looked around the packed auditorium and realized that each person may very well have has his or her own definition of bipolar disorder. But did anyone say anything? 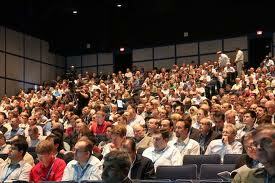 No, we all nodded in agreement, deferring to the expert. This problem exists throughout psychiatry. The criteria for each diagnosis in the DSM-IV can easily be applied in a very general way. This is due partly to fatigue, partly to the fact that insurance companies require that we give a diagnosis as early as the first visit, partly because we’re so reluctant (even when it’s appropriate) to tell patients that they’re actually healthy and may not even have a diagnosis, and partly because different factions of psychiatrists use their experience to create their own criteria. It’s no wonder that as criteria are loosened, diagnoses are misapplied, and the ranks of the “mentally ill” continue to grow. As editor of a newsletter, I’m faced with another challenge I didn’t quite expect. I can’t come out and say that bipolar disorder doesn’t exist (which wouldn’t be true anyway—I have actually seen cases of “classic,” textbook-style mania which do respond to medications as our guidelines would predict). But I also can’t say that several definitions of “bipolar” exist. That may be perceived as being too equivocal for a respectable publication and, as a result, some readers may have difficulty taking me seriously. At the risk of sounding grandiose, I may be experiencing what our field’s leadership must experience on a regular basis. Academic psychiatrists make their living by conducting research, publishing their findings, and, in most cases, specializing in a given clinical area. It’s in their best interest to assume that the subjects of their research actually exist. Furthermore, when experts see patients, they do so in a specialty clinic or clinical trial, which reinforces their definitions of disease. This can become a problem to those of us seeing the complicated “real world” patients on the front lines, especially when we look to the experts for answers to such questions as whether we should use antipsychotics to treat acute mania, or whether antidepressants are helpful for bipolar depression. If their interpretations of the diagnoses simply don’t pertain to the people in our offices, all bets are off. Yet this, I fear, is what happens in psychiatry every day. In the end, I can’t say whether my definition of bipolar disorder is right or not, because even the experts can’t seem to agree on what it is. As for the newsletter, we decided to publish both articles, in the interest of maintaining a dialogue. Readers will simply have to use their own definition of “bipolar disorder” and “bipolar depression” (or eschew them altogether)—hopefully in ways that help their patients. But it has been an eye-opening experience in the futility (and humility) of trying to speak with authority about something we’re still trying desperately to understand. You are currently browsing the Thought Broadcast blog archives for August, 2012.